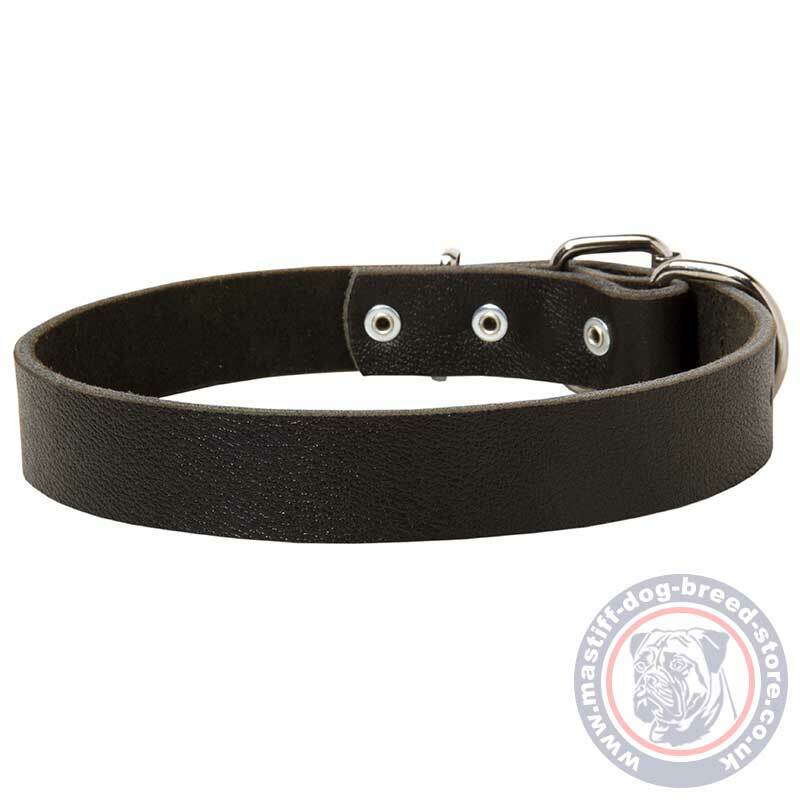 Choose a Neapolitan Mastiff collar of 1.2 in (3 cm) wide leather with a classic buckle. Sizes: 14-40 in. Colors: black, brown and tan. 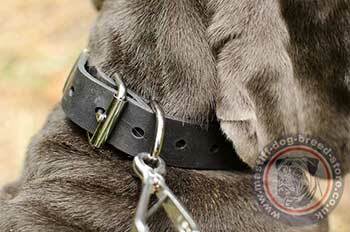 Neapolitan Mastiff collar with buckle is a handmade leather dog collar. Flat classic design of the leather dog collar makes it a perfect tool for daily use on a large, strong dog like Neapolitan Mastiff. Make daily dog walking with your powerful Neapolitan Mastiff controlled, safe, pleasant and comfortable. 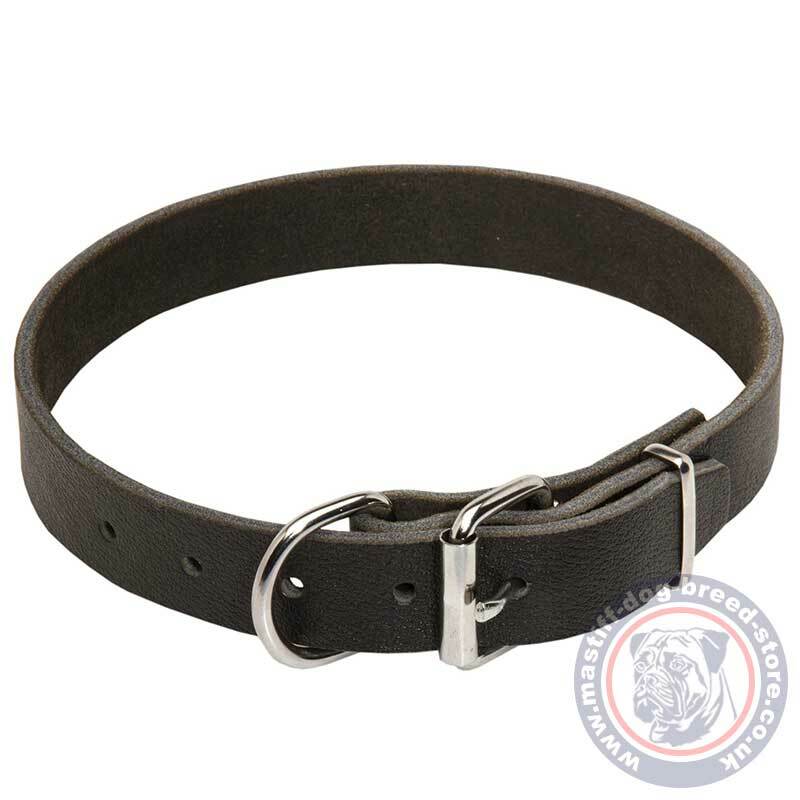 Handmade leather dog collar with buckle is a very strong and reliable tool to manage the temperament of mastiff. Perfect design for universal daily use makes this leather dog collar super functional. 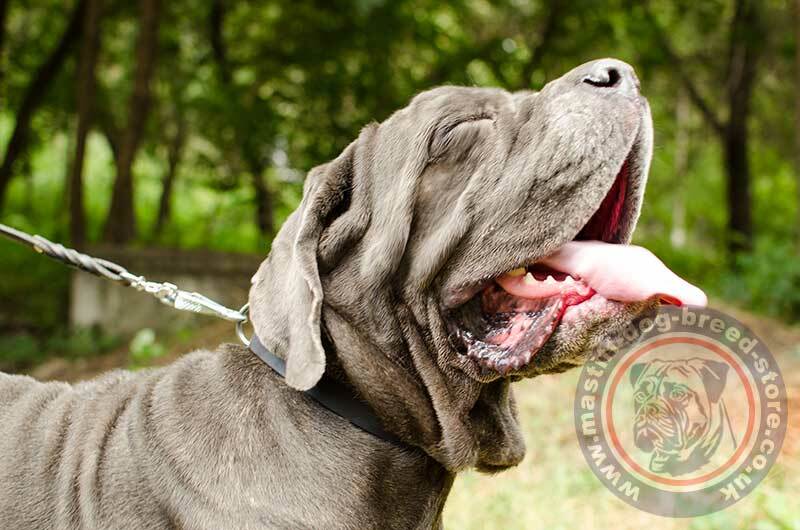 Strong dog collar is reliable enough for control and handling of a large, powerful dog breed like Neapolitan Mastiff!